You have always wanted to move to Bordeaux for your studies? This city has always attracted you, but you have never been able to realise your dream to move to Bordeaux? It is now possible thanks to Study’O and its studio rentals for students in Bordeaux. Study’O residences offers you the choice among 120 apartments, all carefully furnished and decorated, in the heart of its Bordeaux Garonne residence. The Study’O residence Bordeaux Garonne is ideally located near schools and universities, but also close to shops and transports, moving around town will be easy. For your student studio in Bordeaux, you can opt for a studio of 23 m² or a one bedroom apartment of 36 m². Your accommodation will be equipped with a kitchenette, a sofa bed (140 x 190cm), an office area, bathroom with shower and toilet, and a broadband Internet connection. 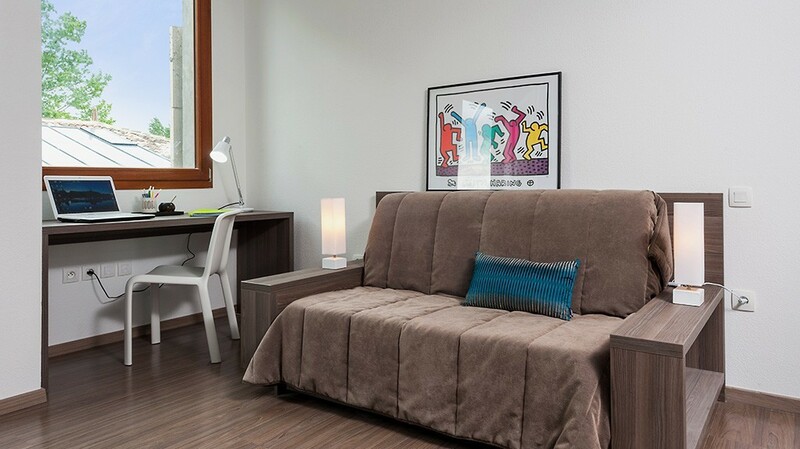 Study’O offers rental studios for students in Bordeaux, as from €595 / month. STUDY’O RESIDENCES, is a trademark of the Group Aquitaine Promotion, which offers student accommodations in Bordeaux and Tours, and soon in other desitnations.